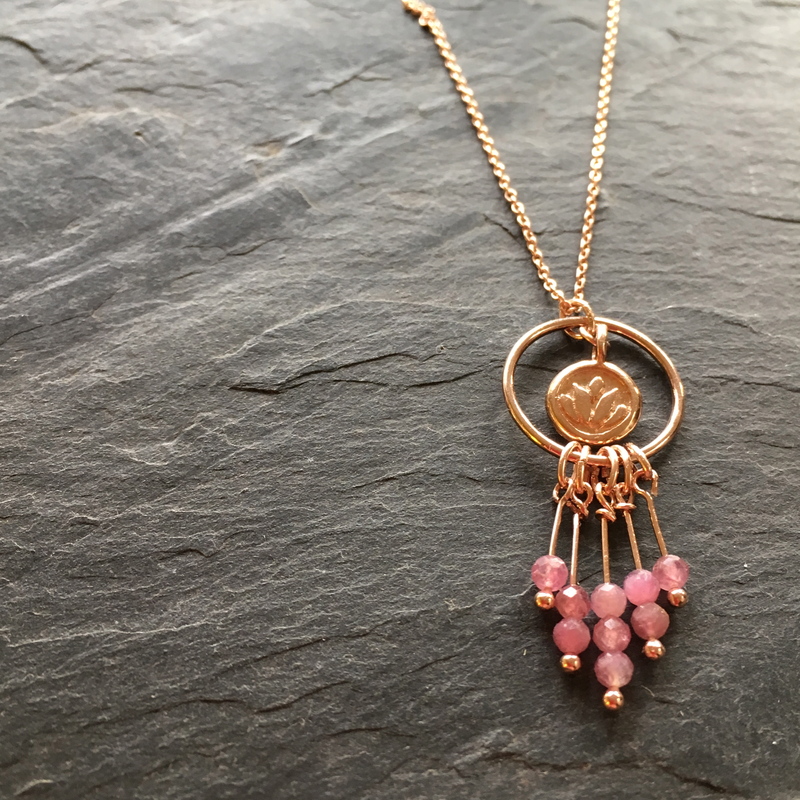 Tourmaline gemstone necklace with rose gold chain and magnetic clasp. 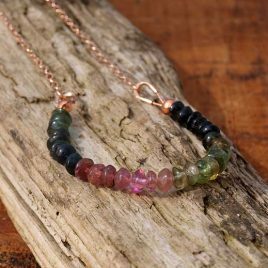 I just love the variety of colour in a strand of watermelon tourmaline from warm pinks to deep moss greens. 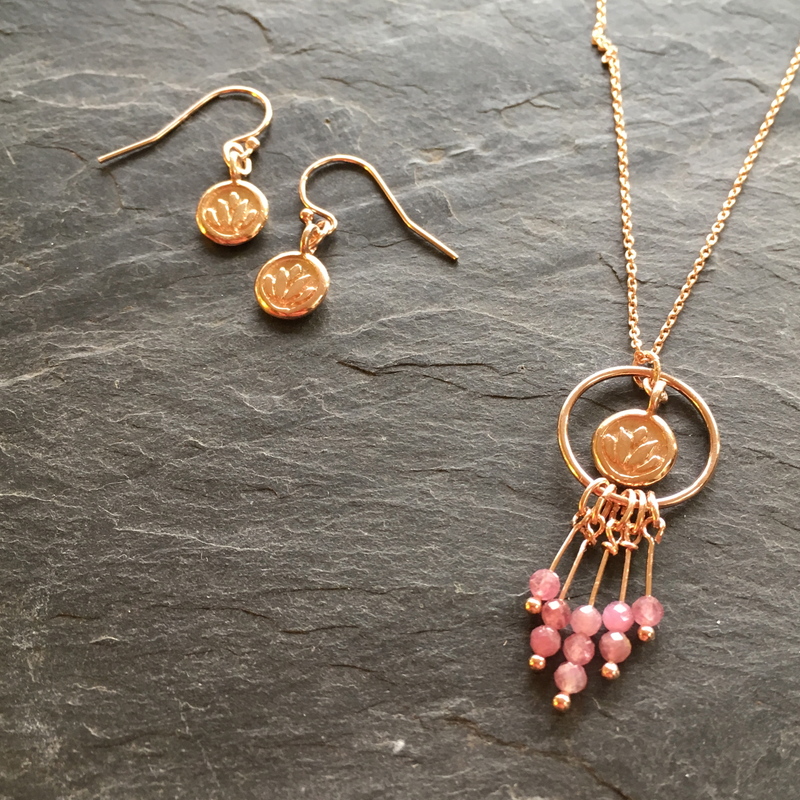 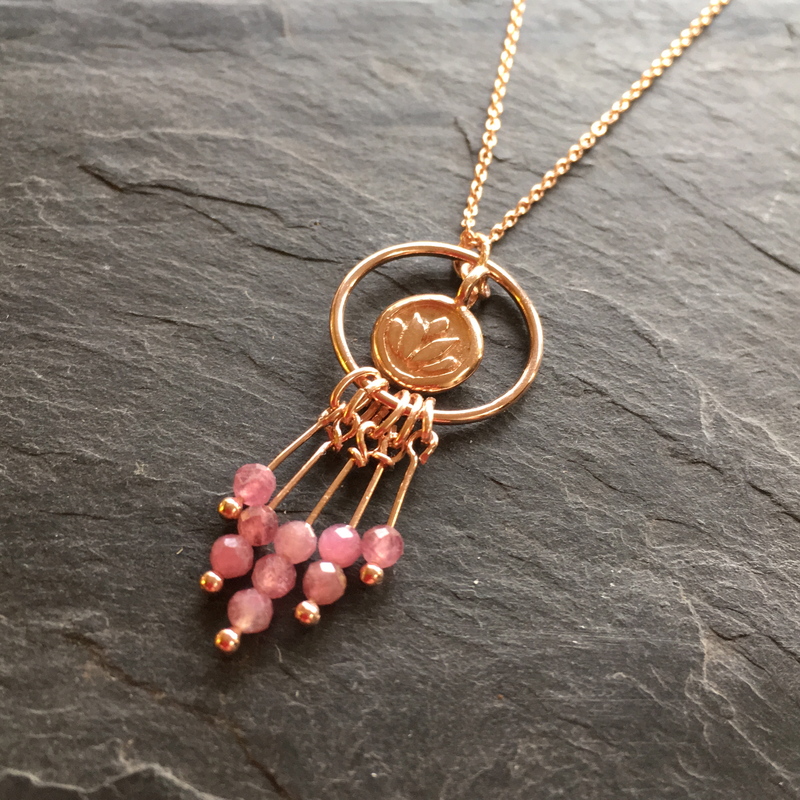 I have chosen a section of tourmaline rondelle beads to string on some flexi wire and complimented them with warm rose gold chain and clasp. The length of the finished necklace is 18". 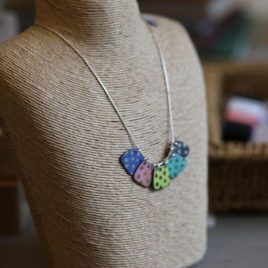 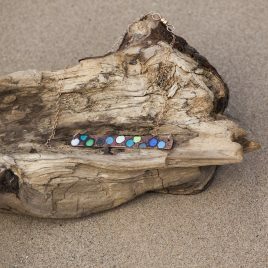 Patchwork Necklace A tag necklace style with different colours and pattern of vitreous enamel on copper. 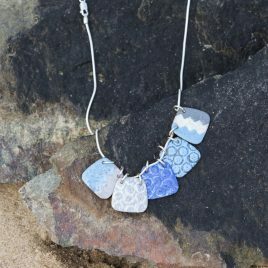 The mix of blues and greys along with the contemporary patterning makes this patchwork necklace a beautiful and memorable gift.